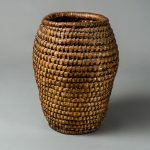 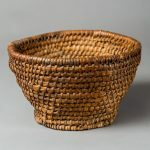 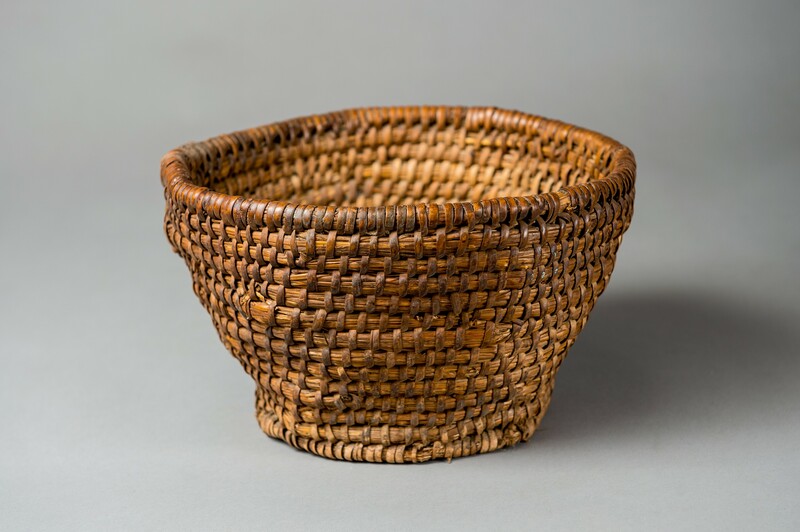 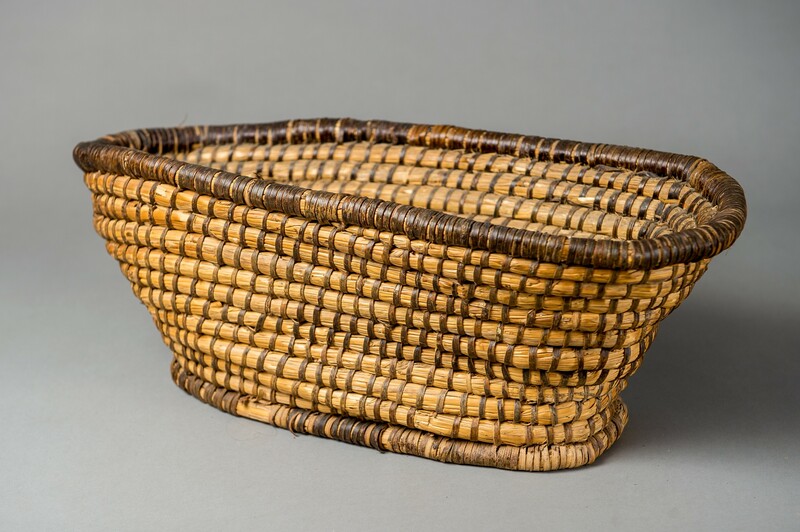 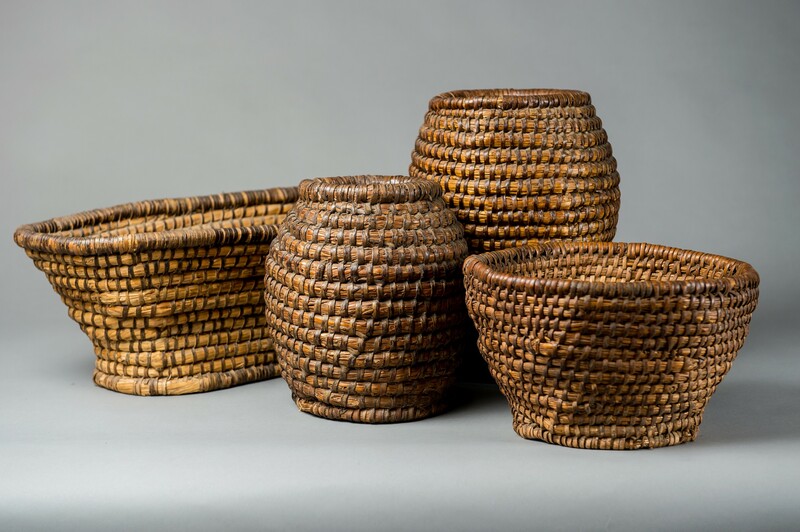 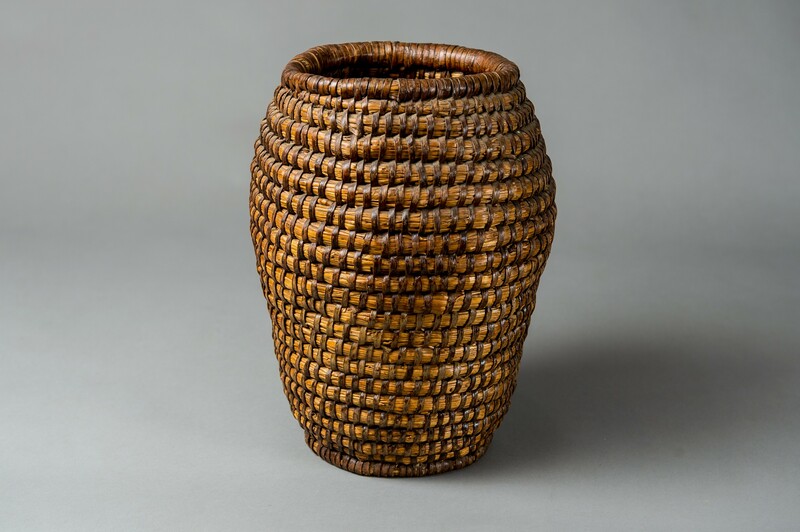 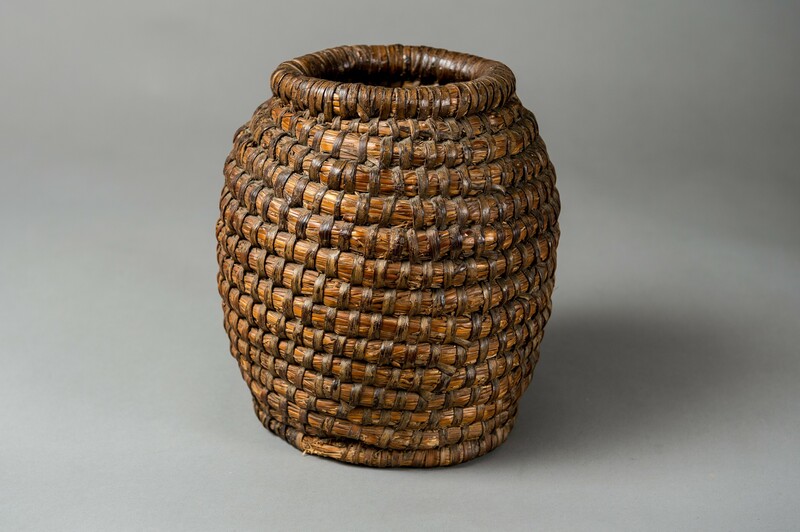 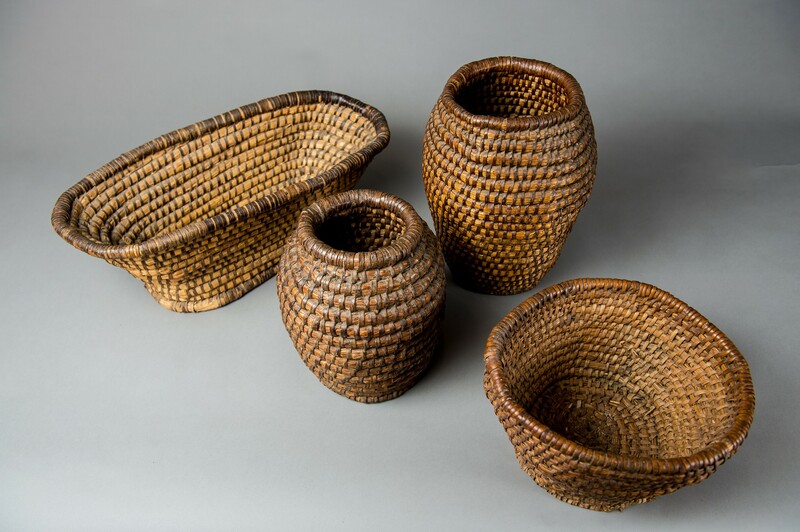 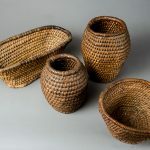 A collection of four Welsh straw or lip-work baskets, made from coiled wheat straw and bound together by strips of bramble. 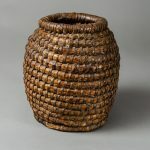 A bundle of straw is bound with a strip split from a bramble.The bundle is first passed through a horn tube; its thickness is kept uniform by adding more straw as it becomes slack in the horn.The bundle is coiled round and the bramble binding the second coil is laced through that of the previous coil with the aid of a pointed bone from a horse’s leg. 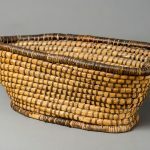 In this way a basket is built up; chairs were also made, with much more work.